Our December outing saw us return to the Moray Firth coast for a cliff top and beach walk along part of the Moray Coastal Trail from the harbour in Buckie to the central square in Cullen. 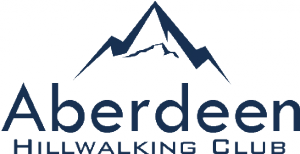 We set off from Aberdeen and following pickups at Bucksburn,Inverurie and Cullen the group of 24 then travelled to the start point at Buckie harbour Most walkers opted to complete the scheduled route, though 3 members elected to do a shorter walk from Portnockie to Cullen. Despite heavy overnight rain,the day remained dry and bright, though cold and breezy along the coast. High waves crashed over the harbour walls at Findochty and Portnockie allowing lots of interesting photographic opportunities.On route we passed the Bow Fiddle rock which was spectacular when looking down from the Scar Nose headland. The tide had reached the high level mark by the time we approached Cullen resulting in the group joining the old railway line from Portnockie to Cullen and traversing the large railway viaduct into the village centre. All finished the walk with time for refreshments before returning home on schedule to Aberdeen.